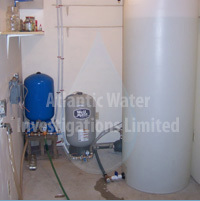 Atlantic Water Investigations Limited is committed to respecting the privacy rights of individuals by ensuring that their personal information is collected, used and disclosed in such a manner that a reasonable person would consider appropriate in the circumstances. We support and follow the principles and obligations of the Personal Information Protection and Electronic Documents Act. However, please note that this site's privacy polices do not apply to linked websites. You should consult the privacy disclosures on each third party site for further information.